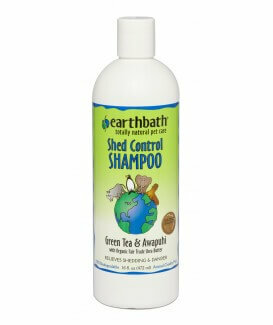 Earthbath specially formulated this Fragrance Free Oatmeal & Aloe Shampoo to address the needs of pets with dry, itchy skin that may have skin sensitivity or allergies. 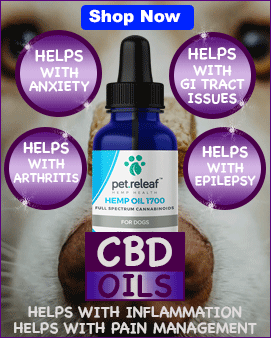 Colloidal Oatmeal (3%) and Aloe Vera are recommended by veterinarians to combat skin irritations, promote healing, and re-moisturize sensitive, dry skin. 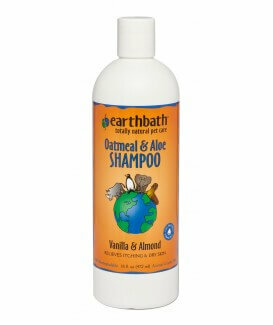 Earthbath Oatmeal & Aloe Shampoo Vanilla & Almond 16 oz. Earthbath specially formulated this Oatmeal & Aloe itch relief shampoo to address the needs of pets with dry, itchy skin. Oatmeal (3%) and organic aloe vera combat skin irritation, promote healing, and re-moisturize sensitive, dry skin. 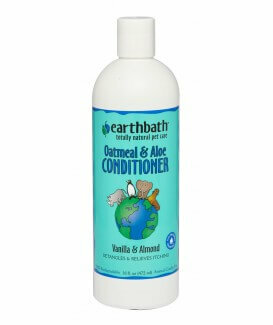 Earthbath Oatmeal & Aloe Conditioner Vanilla & Almond 16 oz. 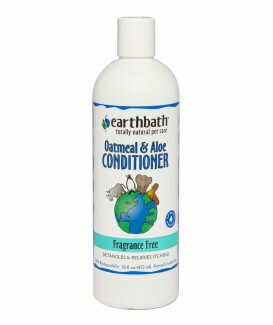 Earthbath proudly formulated this shine enhancing Oatmeal & Aloe Conditioner with food grade extracts of vanilla & almond to effectively detangle, enrich, and revive your pet’s coat. The addition of 3% colloidal oatmeal and aloe vera helps re-moisturize and soothe skin, too. Our sumptuous conditioner will leave your best friend’s coat soft and plush while bringing out its natural luster and brilliance. 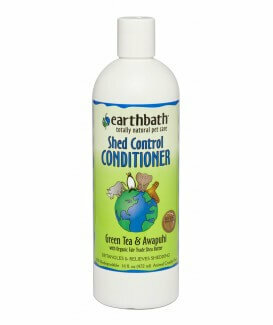 Earthbath Shed Control Conditioner Green Tea & Awapuhi 16 oz. This vegetable-based Shed Control Conditioner softens, detangles and enriches coats while reducing excessive shedding and dander. Organic fair trade shea butter, glycerin and Allantoin act to nourish the skin, as well as lock in moisture to reduce dryness and scaling. Powerful antioxidants, including green tea extract and omega-6 fatty acids, help protect the skin & repair skin damage which can trigger shedding.